These muffins are so easy and delicious. I love to make a batch and put them in the fridge, so that I can grab and enjoy for breakfast. Trust me, you wonât regret breakfast prepping. Preheat oven to 400. Place muffin liners in a muffin tin. In a large bowl, add the flour, baking powder, and salt. Stir to combine. In another bowl, add the sugar, milk, vanilla, egg, and oil. Whisk to combine. Add the wet ingredients to the dry ingredients. Stir until just combined; batter should be lumpy. Do not over mix. Fill the muffin liners 3/4 of the way up. 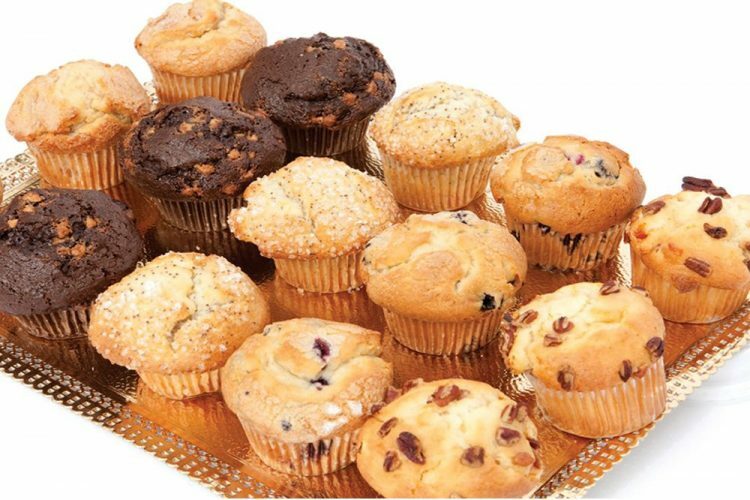 Add your favourite muffin flavours/additions (fruit, nuts, chocolate chips, oats, etc). Take a toothpick and push the additional ingredients down into the batter and swirl them around a little. Bake for 20 minutes. Let cool for 5 minutes before serving. Tip: If you are adding an ingredient that is not very sweet, like blueberries, you may want to roll that ingredient around in a little sugar before you add it to the batter.